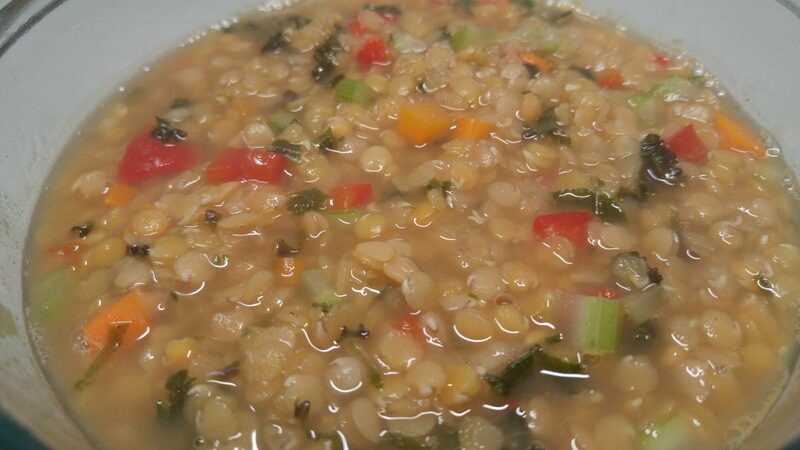 This is my version of the classic lentil soup. The addition of kale, red peppers, carrots, and celery make this soup extremely flavorful, hearty and comforting. Ready in 20 mins. Combine all the ingredients in a medium saucepan. Bring to a boil, reduce heat to a simmer (medium-low). Cover and simmer for 20 mins. The lentils will continue absorbing the broth. When going to reheat the next day, it might be thick. Adding more veggie broth when reheating will bring it back to life or it will make a great meal as is.